The world's population is growing at a shocking rate, with an expected 1.2 billion more mouths to feed by 2030, according to the United Nations. Meanwhile, the amount of arable land is decreasing, and farmers face mounting challenges. 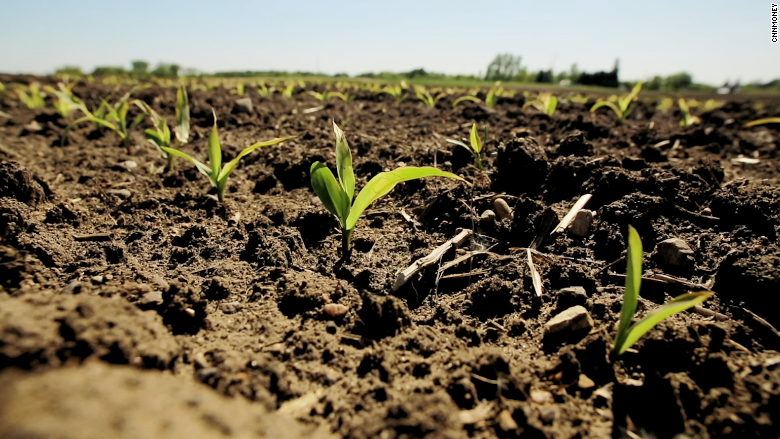 Climate Corporation aims to take the guesswork out of issues like weather and crop disease. The 10-year-old company offers a slate of "digital agriculture" tools that provide a real-time, Facebook-esque feed about what's happening on a farm at every moment. "We're using data science to de-convolute what's going on there," Climate Corporation CEO Mike Stern told CNNMoney. "Information on the farm is now being collected the same way we collect information on our cellphones or our iPads." In fact, farmers use an app to make sense of all Climate Corporation's data. The company's FieldView product includes notifications for things like how much precipitation accumulated over the past 24 hours. A historical and real-time weather feature advises whether fields are workable based on current conditions, and a nitrogen tracker recommends when nutrients should be added to the soil. Meanwhile, a crown jewel "field health adviser" feature uses aerial imagery from drones and satellites to create a red- and green-spotted map (red for warning areas; green for good). It helps farmers identify where crops are growing slowly, prioritize which fields to attend to, and ideally avoid crop-health issues before they affect yields. "[Even] if they have 10, 20, 30, 40 fields, in a very simple way they can get an overview of all [them]," Stern said. "They can understand where their potential issues are, and how to plan their day [to] address the challenges that they're facing." 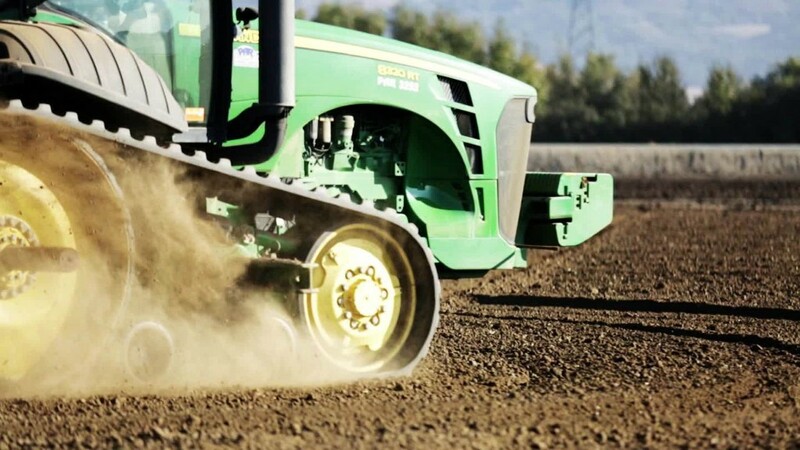 The technology also lets farmers track tasks such as watering, seeding and harvesting. All of the data is stored in the cloud and accessible only by the farmer, Stern said. Climate Corporation is owned by Monsanto (MON), the agrochemical company targeted by critics of genetically modified crops. The 2013 acquisition deal came as such a surprise to Climate fans that the company's then-CEO penned a letter arguing that Monsanto has been unfairly labeled as "evil." The company was founded in 2006 by two Google (GOOG) employees as a weather insurance business. Stern, who became CEO in January, said the goal today is to optimize every part of farming and remove as many variables as possible. He cites corn crops as an example for using precision agriculture to improve yields. It's theoretically possible to harvest 530 bushels of corn per acre, but the national average is only 168 bushels. That's a lot of room for improvement. Climate Corporation doesn't promise 100% optimization; as Stern puts it, "it would be very, very, very hard" to get every acre to yield the highest amount possible. But at $4 a bushel for corn, even a small percentage increase makes a big financial difference for farmers. Keith Gingerich has seen an 11% boost in the yield on his family's Gingerich Farms from using Climate Corporation's technology. 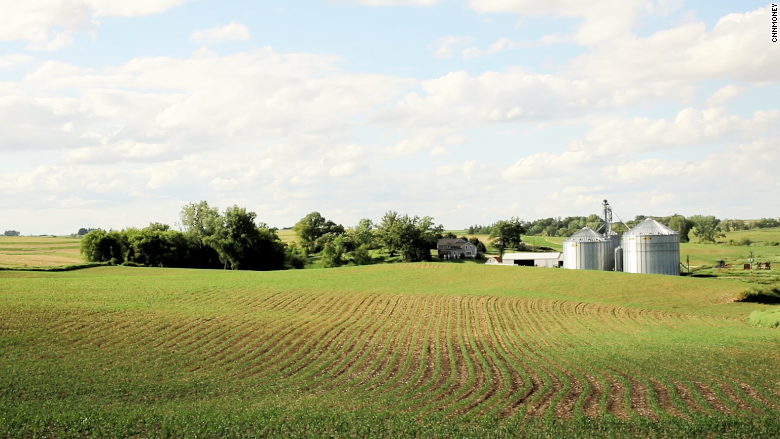 The farm, which grows mainly corn and soybeans, has benefited from digital agriculture techniques since 2005. "We needed to have better visuals [for] what we were doing and get more feedback," Gingerich said. "Some stuff we were doing was causing a detriment to our yields, and so we've changed some of our tillage practices [and] field operations." 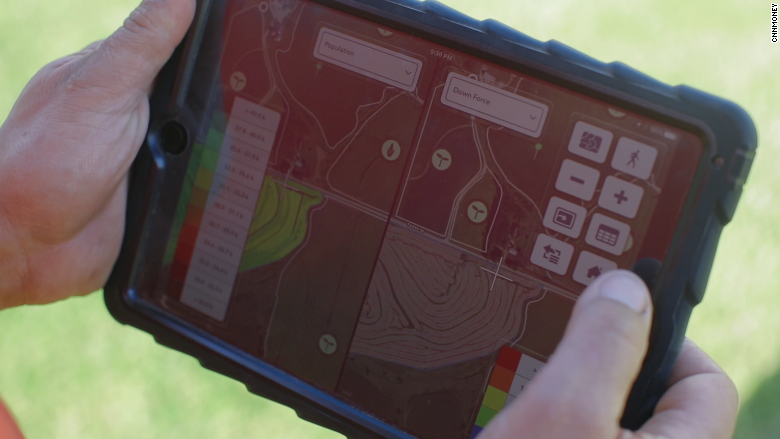 On a daily basis, he uses the FieldView heat maps to assess which sections of the field he should monitor first. It's helped streamline the process and save time. And that's important for more than just individual farms. "We have to feed the world," Gingerich said. "We've got to figure out how to produce more, on less acres, with less water and less nutrients." Stern agreed, adding that the diminishing amount of arable land creates "a very competitive environment." He estimates about 70% of growers are using some kind of digital, or "precision," agriculture tools. The "competitive edge" of technological innovation, as Stern calls it, does come at a cost. Climate Corporation offers tiered pricing options, ranging from a free version with limited data to more than $1,499 depending on the size of the farm and the desired features. Climate Corporation declined to share how many farms currently use the FieldView technology, but a spokeswoman said the FieldView platform is currently on more than 92 million crop acres in the U.S. Internationally, FieldView will pre-launch in Brazil this fall, and a full launch in Canada is slated for spring 2017. Across the world, "the footprint of agriculture has to change ... if we're going to meet these societal needs in a sustainable way," Stern said. "That's the promise of digital agriculture."